Finally, I’ve got a new website: patriciacaviglia.com. Check it out! This is my first WANAfriday post. The prompt for this week is Friday funnies. I’ve posted pranks from Fousey before. Here’s his latest. 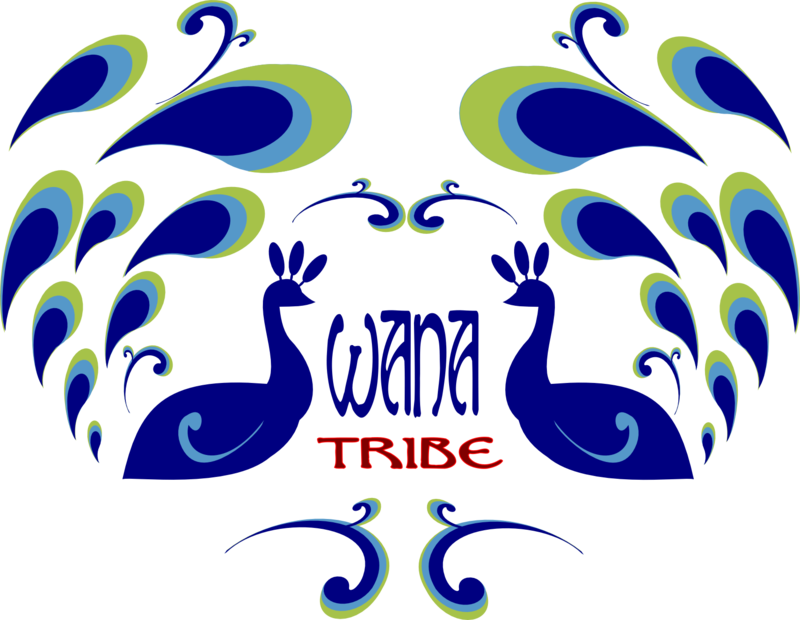 Check out funnies posted by other WANAs using #WANAfriday and have a laugh. I knew it was time to do something about my love life when my 5-year-old showed more concern for it than I did. So last week, I joined an online dating site. It’s my third foray. On the first website, I got propositioned a lot and met men online that just seemed unsuitable. When I met someone offline, I was glad the search was over. The second round came last fall. I don’t believe my mind and heart were in the right place and so my success was impossible. I put out the wrong vibes. Beware: the universe gives back what you give it. This go around is going better. In one week, I received much interest and expressed some interest in a few men. I communicated with three very nice gentlemen and agreed to go out with two. As first “blind” dates go, they went quite well. And I hope to hear from one of them again. It won’t be the end of the world if I don’t. There are plenty of fish in the cyber sea. As I talk about my current experience with friends, I’m getting all kinds of interesting feedback. Misconceptions about who’s online abound. Many women expressed fear at meeting creeps. I say forget emailing back and forth, get his number and talk on the phone. If he sounds normal and asks for a date, suggest a crowded location, mention your plans to a friend, and drive yourself there. Some of my male friends had their own bad experiences and some had never tried, but they agreed that picking up a woman at a bar or some other public place was infinitely better. Their arguments were: 1) you know what she truly looks like and that you’re attracted; 2) by talking to her, you get a sense of whether she’s a crazy b* or not; 3) and no nerve-racking blind date necessary. All good points. What do you think of online dating? Got any good stories to share? How did you meet your last date? I finished cleaning. Broth’s simmering on the stove. A Sunday afternoon breeze is coming through the window. Baseball game on the radio. The Jays are leading the Twins 7-3 in the 7th inning. And I’m waiting for that magical time when I go pickup BabyGirl. She’s been on vacation with her Dad for a week. I’ve missed her. I’m looking forward to our reunion. But I still have a few hours and I better take care of business cause I’ve been remiss. After a month of daily postings, you’d think I’d have developed a longing for blogging but no. Social media does not evoke much emotion in me, except for Facebook, which if you’ve followed this blog since the beginning, you know I despise. I’ve given up trying to scrub the blood stains from the wall. I’ll have to repaint some time. Finish 2nd draft of Stay by July 27. Find an editor and turn manuscript over by July 28. Blog at least twice a week forever. Book Writers Digest Conference West before July 19 to take advantage of early bird pricing. Finish planning my third novel. Finish planning Western Canada vacay. (11-3 Jays, still in the 7th inning) I had to stop writing this post to start the next one on online dating. Guess we both know what I’ll be talking about on Tuesday. I don’t know about you, but I’m relieved. Make sure you come back for my kernels of wisdom(?). What’s on your to-do list? Where are you vacationing this summer? Does all the energy from the sun recharge your batteries? 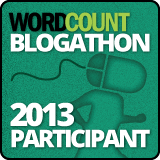 The Blogathon challenge was 30 posts in 30 days. I managed 29 posts in 30 days. So I’m going to give myself a PASS. I babbled. I did some soul searching. I racked my brain for post ideas. I got lazy and posted music videos and movie trailers. I went to bed late every night. I had some guests. I learned how to create a wordcloud. Overall, I had a great time. Thank you to Michelle Rafter of WordCount for running this event. 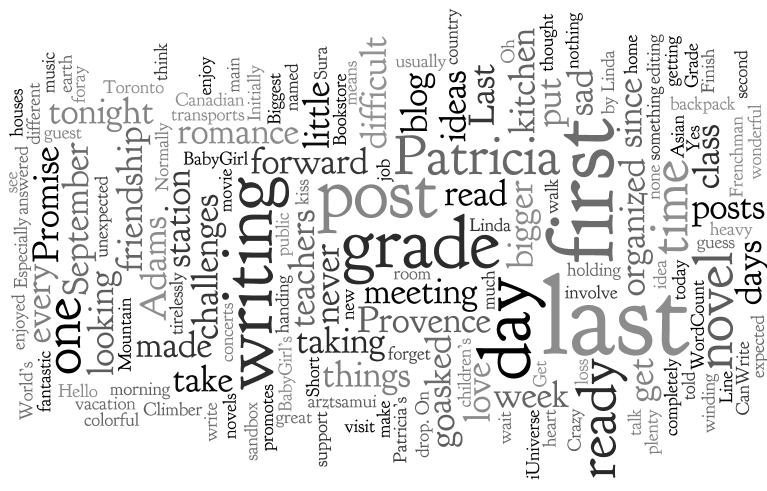 What have you learned from blogging? Is there a type of post you enjoy reading more than all others? Is posting music videos, movie trailers and wordclouds a cop out?